Prince Harry met Rihanna at a ceremony marking the 50th anniversary of Barbados' independence away from British rule. 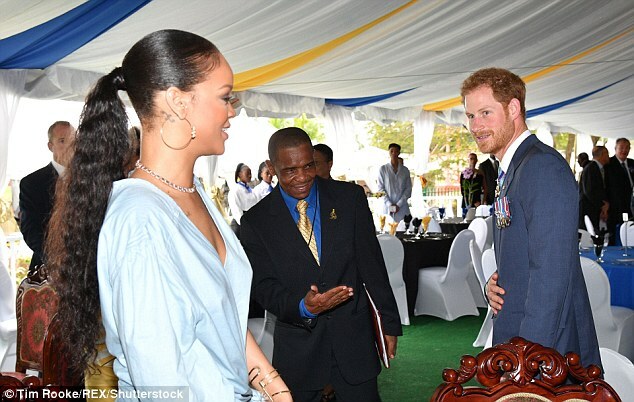 Rihanna served as the surprise guest at the annual Toast the Nation event celebrating national achievements. 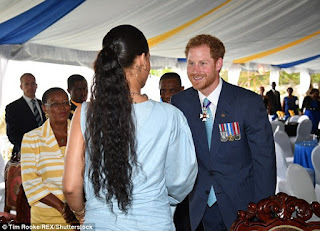 Harry is reaching the end of his two-week tour of seven nations in the Caribbean on behalf of his grandmother, Queen Elizabeth. 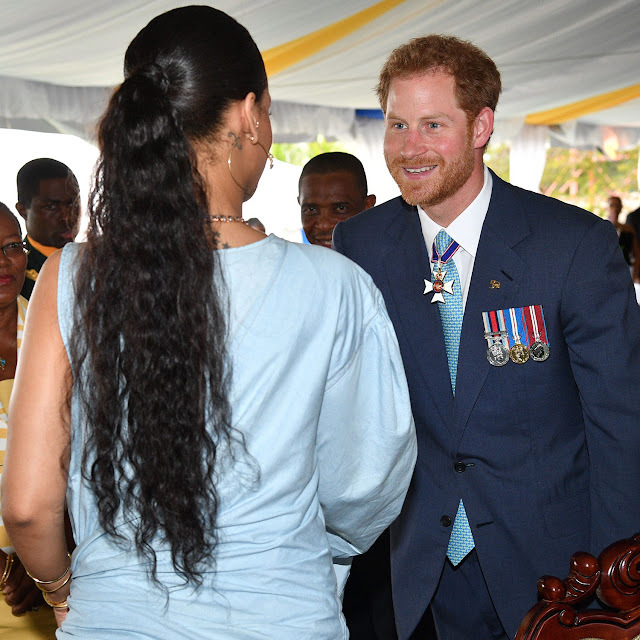 It's also been an eventful week for Rihanna. She was presented with the award for Shoe of the Year for the Fenty Puma Creeper at the 30th annual Footwear News Achievement Awards. 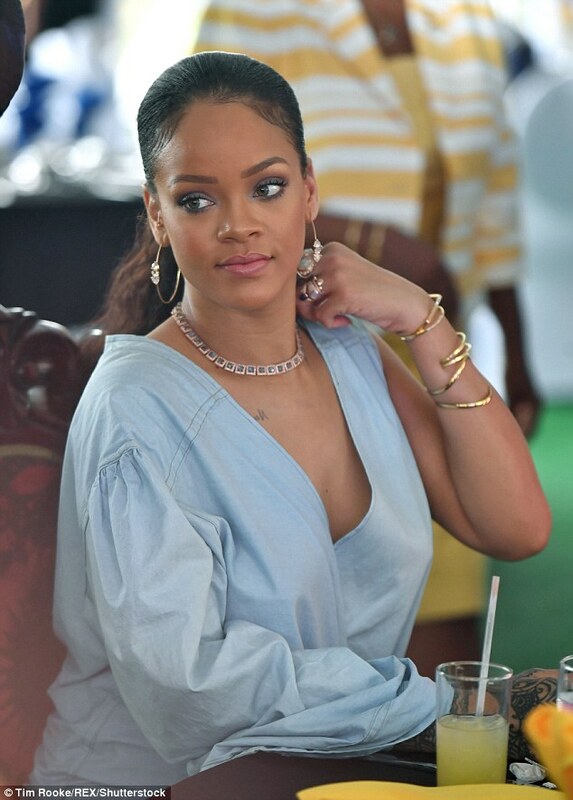 On the music front, 'Needed Me' off her latest album 'ANTi' passed 'We Found Love', becoming her track that spent the most weeks on the Billboard Hot 100: 42 (over 10 months). 'Love On The Brain' also reached a new peak on the Billboard Hot 100. The track jumped 16 spots on the Billboard Hot 100 this week, reaching a new peak of #34. C'mon Ri, drop a music video!